If bacon really does make everything better, beer fans and music lovers alike will be celebrating at the inaugural Beer Bacon Music Festival this weekend in Frederick, Md. Featuring 10 bands, more than 100 types of beer and a whopping two tons of sweet, sweet bacon, the festivities May 17-18 promise plenty of suds, songs and sizzling, fat-rippled goodness. “Some people wonder if beer and bacon go together but we think they do — very well,” said organizer Kenneth MacFawn. For MacFawn, who manages the craft-beer program for a local distributor, the event is both a natural outgrowth of his personal passion for beer and a happy accident born of Thanksgiving leftovers. As he tells it, he was enjoying “friendsgiving,” the day-after-Thanksgiving get-togethers favored by those committed to spending the official holiday with their families, two years ago. With plenty of turkey leftovers and an ample supply of salt pork, the bond between people and pork (and poultry) was set. “It was a great atmosphere to truly see everyone’s true love of bacon,” he said. The festival is designed to build on that love. 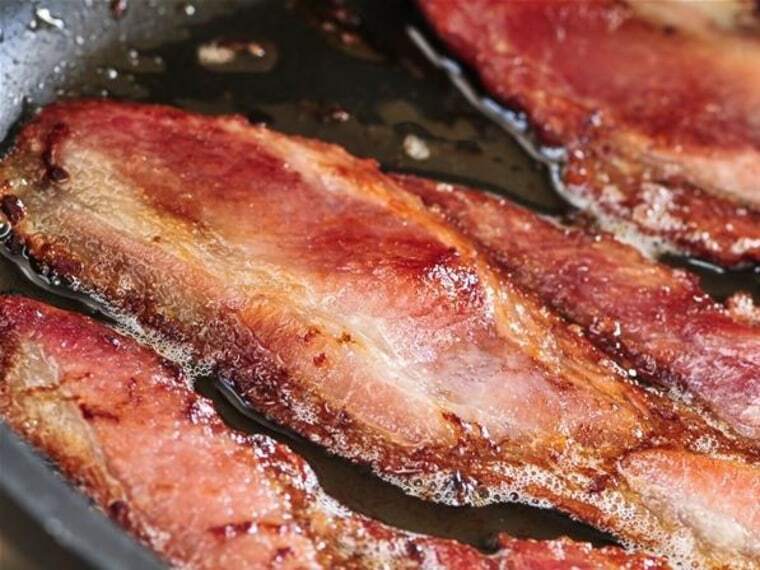 In addition to the aforementioned two tons of bacon, which will supply an all-you-can-eat bacon bar, the festivities will include bacon-based products from several local restaurants and purveyors of artisan products. From bacon jam and bacon risotto to bacon funnel cakes and bacon lattes, the event promises to be a testimonial to the concept that there’s nothing that isn’t made better with the addition of bacon. That passion should be on full display in Frederick, where one-day tickets ($45) will entitle attendees to enjoy the bacon bar, beer samples for a penny a pop (a charity fundraiser) and a homebrew competition. A la carte dishes — both bacon- and non-bacon-based — will be available for an additional fee.